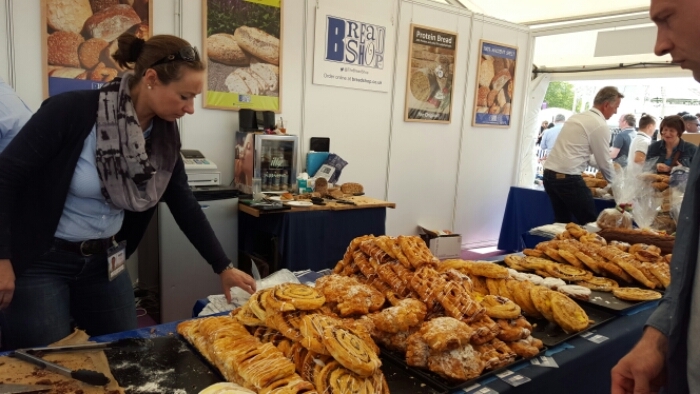 17th – 21st June 2015 brought the Taste of London to town in the hustle and bustle of Regent’s Park. 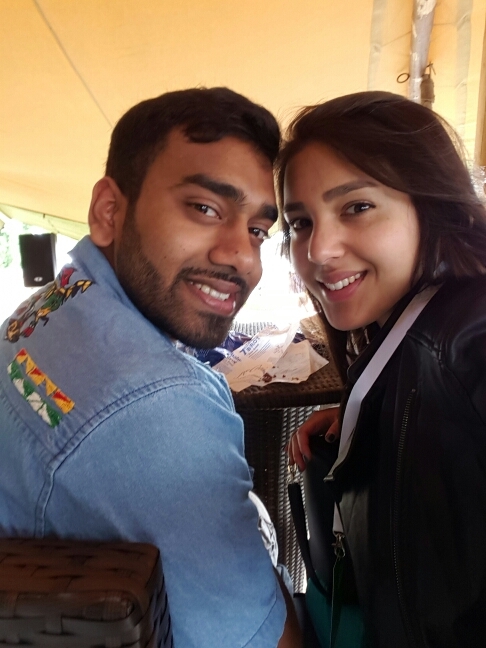 Myself (London Ki Ladki) and Benoy from Ben 10 Boxing teamed up together to attend the food festival. 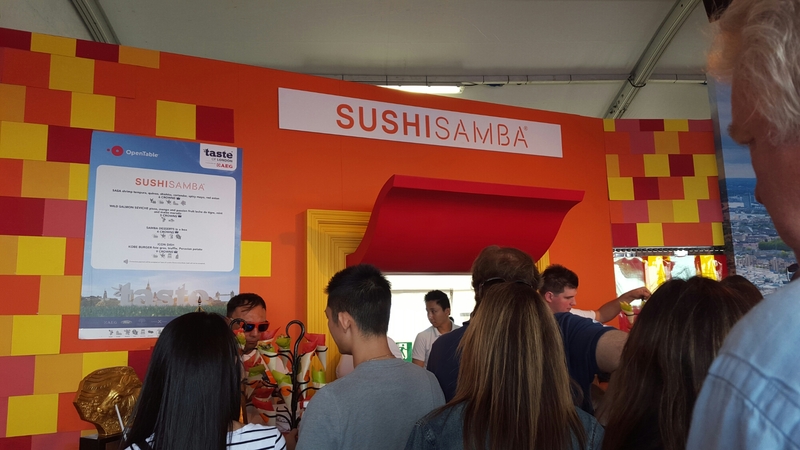 The festival’s layout comprised of a wide, selective array of international cuisines housed on a large complex. This was accompanied with live cooking classes and music which added a unique spin to the event. There’s definitely something for everybody evident by the wide age-range of attendees, so this would be a good summer’s day out for the family. To sum it up best – this was a dish that simply looked better on paper than it tasted in reality. 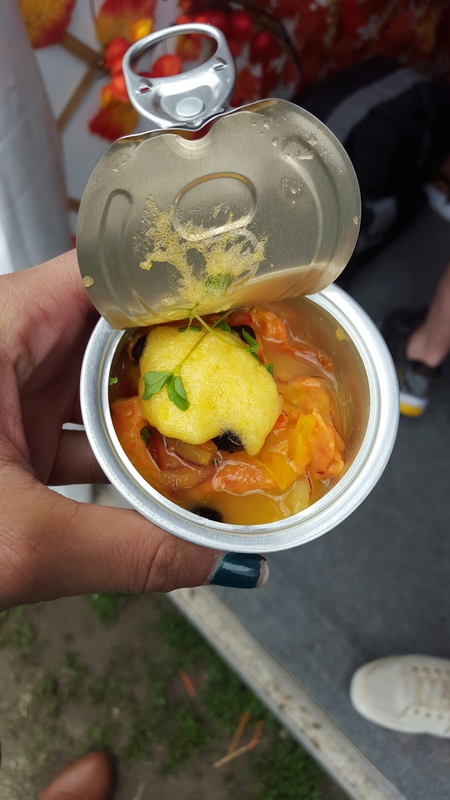 To start off, I wasn’t that impressed with the presentation as it was packaged in a small tin (smaller than a tin of tuna…); the appearance of which wasn’t appealing. Furthermore, upon opening the tin, my eyes were greeted with the appearance of orange foam which resembled frog spawn. 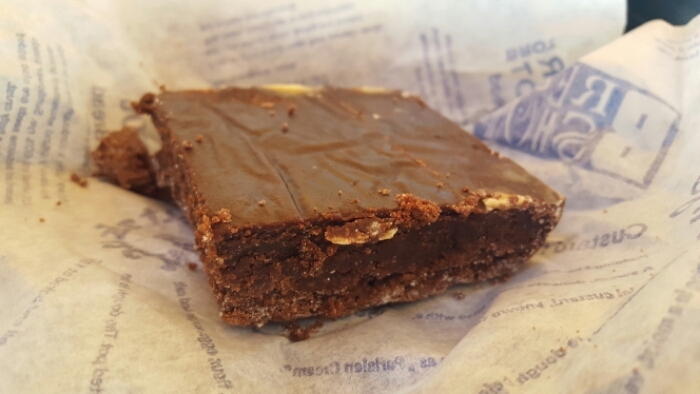 The interesting combination of flavours proved to be a case of Marmite – you either hate it or love it. 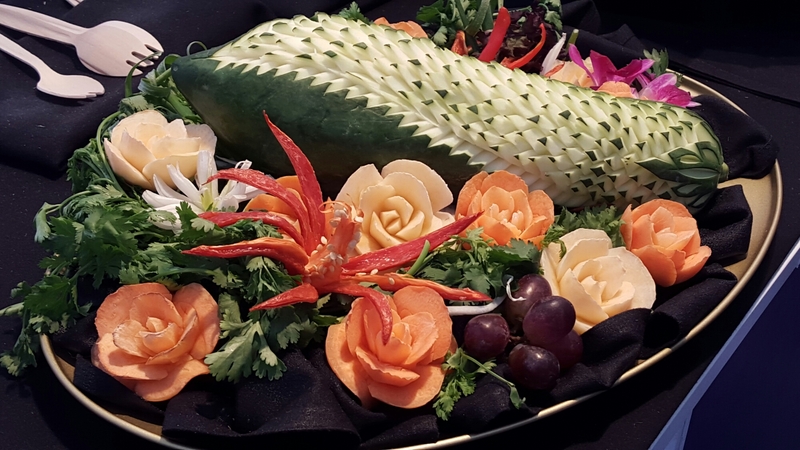 I personally felt that the tropical fruit and salmon combination really didn’t work well; the passion fruit was particularly overpowering whilst the sweetness of the mango did little to counteract this. The salmon itself was nearly non-existent and had a faint hint of a smoked flavour which hardly combated the fruit flavours. I can’t really comment on the mint as this was non-existent too. Given the hefty price tag of 5 crowns and stature that Sushi Samba holds, I was left in disappointment as I had placed high expectations on this dish. 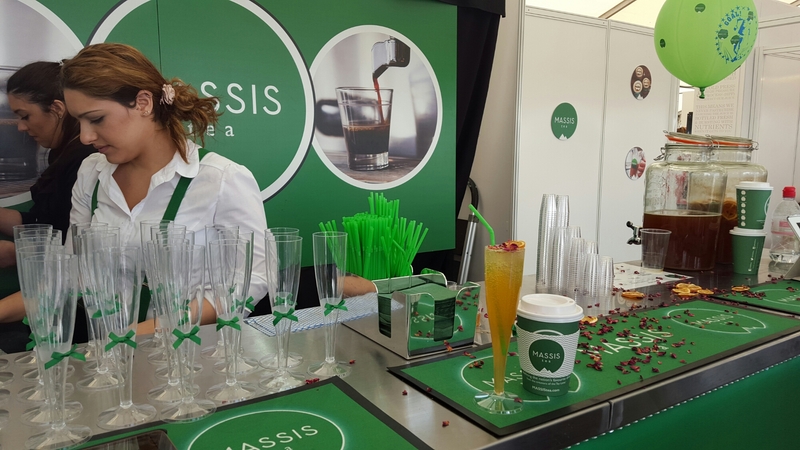 If you are a tea lover, you will love MASSIS Tea; using their own unique method, they pull a very strong shot of tea, creating something similar to an espresso, simply made with tea not coffee. Unlike coffee, it does not use tons of flavouring to overcompensate for competing characteristics in the same cup. Their range of flavours include Biscuity Butterscotch­, Gingerbread Hug, HazelnuTey, Caribbean Coconut, Candyfloss Kiss, Toffeenut Temptation and AmazeMint. 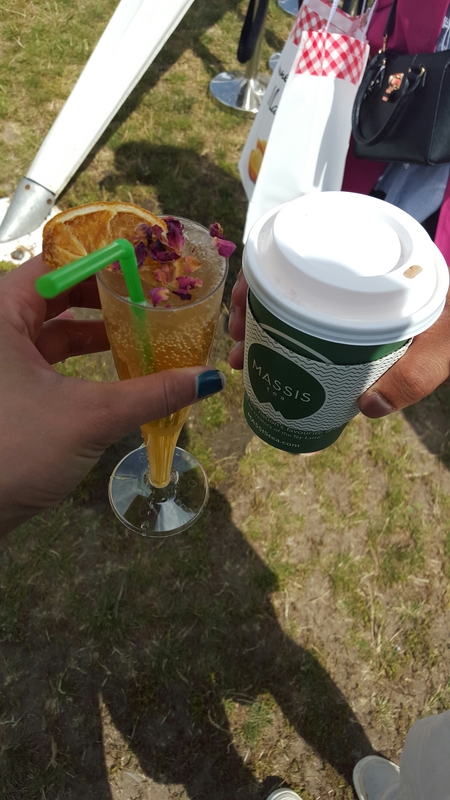 MASSIS Tea Tweet = A Free Drink! We tried the Gingerbread Hug and travelled through a tasteful sweet and strong gingerbread journey. It was flavoursome, delectable and easily gets a 4/5 from us. We managed to get this drink for free by tweeting a photo of us with the brand and got an amazingly tasty non-alcoholic citrus drink too. 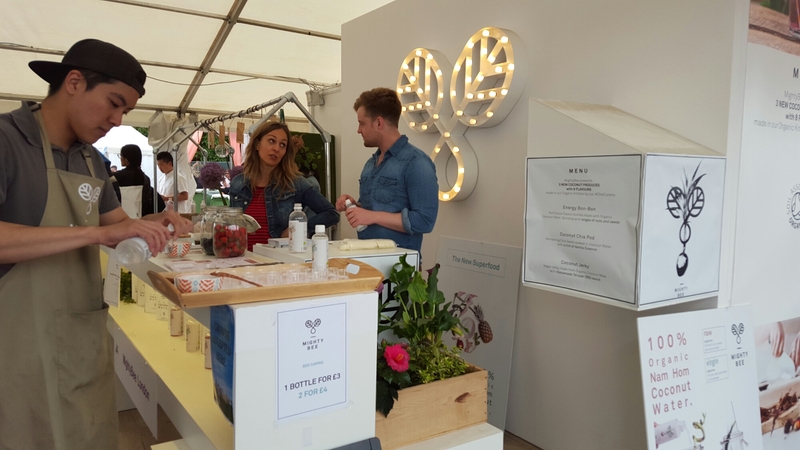 Their brand representatives at the stand were great and we would want to try their drinks again! Benoy has drunk green coconut water cut from straight off the tree in South India, and I have drunk coconut water straight from green coconuts many times. 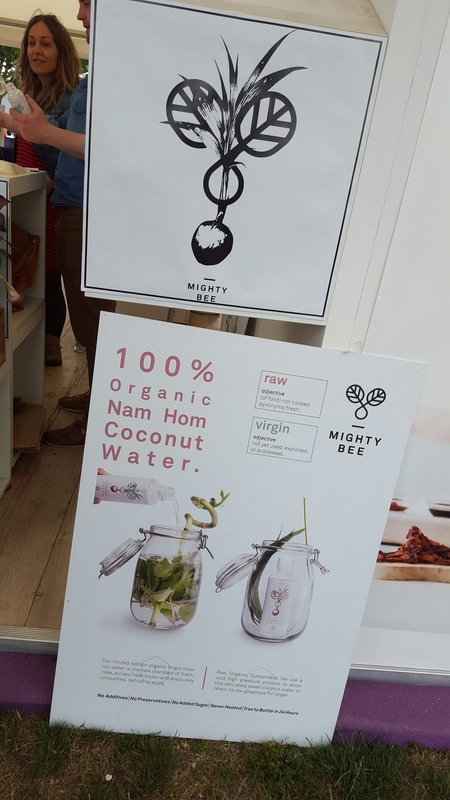 MightyBee was ultimately the freshest bottled coconut water we had ever tasted! This coconut water derived from Thai nom ham coconuts, “these young green coconuts are expertly picked at their peak to capture their intense aroma and sweetness”. It was so refreshingly sweet! MightyBee explains their coconut water is “packed with complex B-vitamins, amino acids and essential minerals, we ensure our coconut water retains its freshness and nutrients, going from tree to bottle in 24 hours.” If we had to choose out of all the bottled coconut water brands out on the market today, it would most certainly be MightyBee. I wasn’t overly-impressed with this dish nor was I disappointed. It pretty much tasted as expected – which was nice! (I’m a big fan of green curries haha). 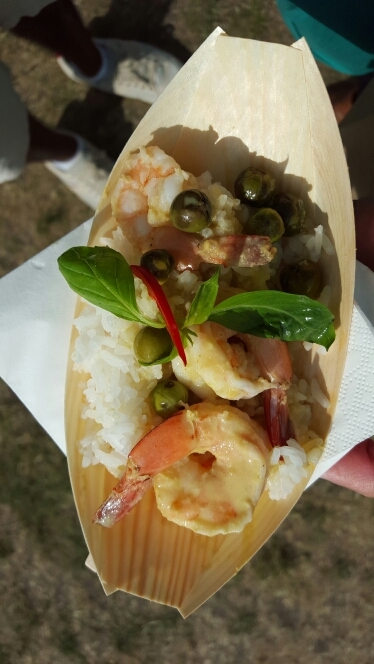 I liked the presentation which simply composed of a small portion of sticky rice, doused with a nice helping of green curry and topped with 3 fairly-sized king-prawns. I personally like the hint of lemon-grass alongside a creamy coconut texture in my green curries and did feel that this dish slightly lacked both of those components. The pea aubergines however provided a pleasant spicy kick to the curry; almost injecting it with life. I do feel that at price of 6 crowns, this dish was definitely over-priced and should have had a lower-price tag or slightly larger portion. 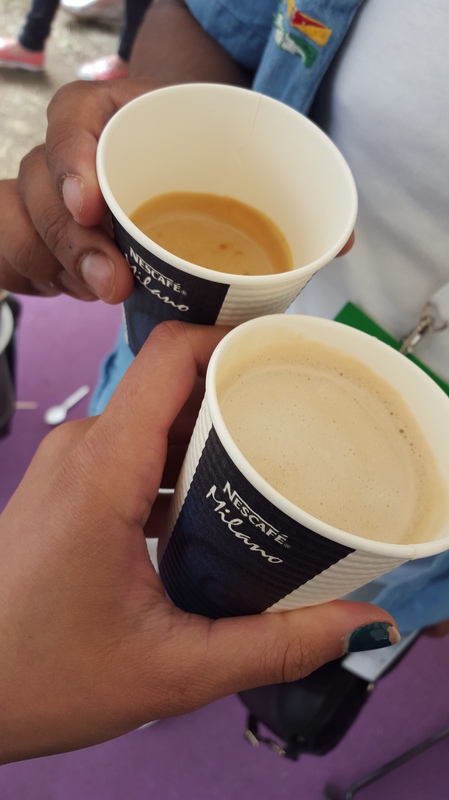 Nescafé Milano was present at the festival to showcase their latest speciality beverage technology solution for businesses. The coffee machine called Nescafé Milano claims to have developed a gentle extraction method which uses only coffee beans and water and be more efficient than the conventional coffee shop chains’ coffee-making methods. I will say that I had tried one the tastiest lattes ever, it was naturally sweet and the coffee taste and milk balance was almost perfect. I would not mind having one in my own home! And before you ask yes I did go for seconds; the Nescafé Milano was a hit for me for in comparison to other coffee machines I have tried before. The wings themselves were fried until golden brown and crispy and coated in an orange pepper sauce which immediately hits your nostrils. 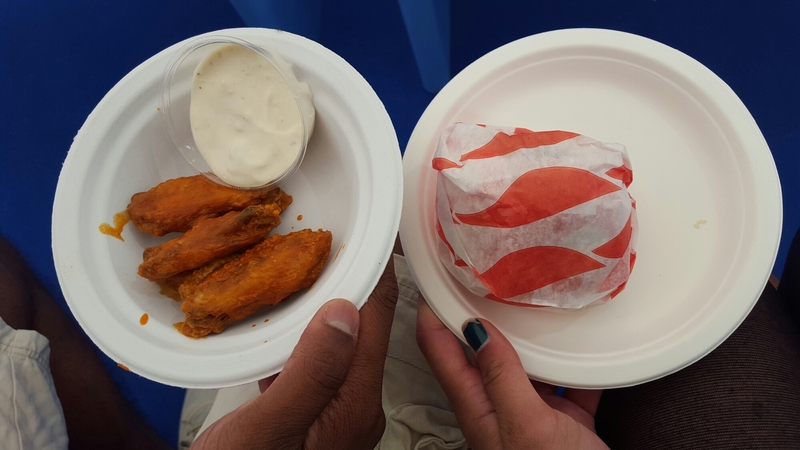 I personally felt that the crispiness of the wings complimented the pepper sauce dressing well, which had a fiery kick to it. I’d best describe the sauce as a tangier variation of Tabasco sauce. I really adored the blue cheese dip – it simply tasted amazing and went so well with the hot sauce! I was most impressed at how the cheese perfectly nullified the x factor behind the sauce, leaving a pleasant after-taste. All in all this was my favourite dish of the day and I will definitely be paying Meat Liquor a visit in the near-future to re-acquaint myself with this flavoursome combo! 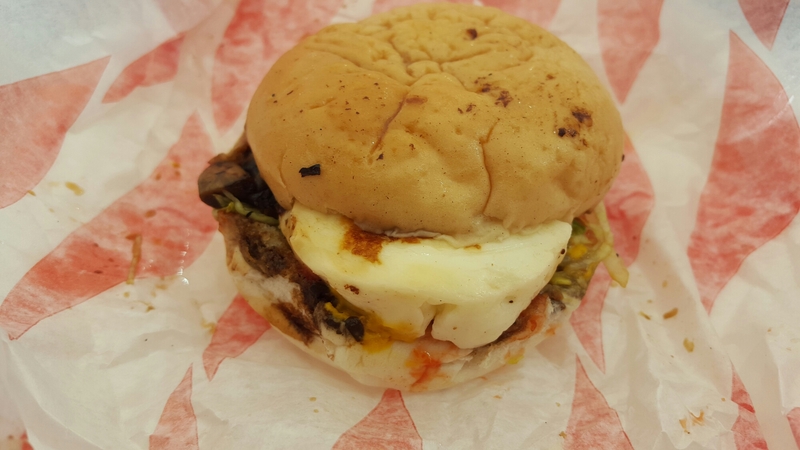 I thought the concept of a halloumi burger constructed together like a “real” burger was really cool, so I had to try it (especially being a non-meat eater). However firstly I thought the price was this was ridiculous considering how tiny it was for £4.00. It was slightly bland; if it was full size burger with the right amount of mustard and ketchup, we would have been definitely on to a winner. On the positive it was soft and had lovely textures with the velvety mushroom and crunchy lettuce. 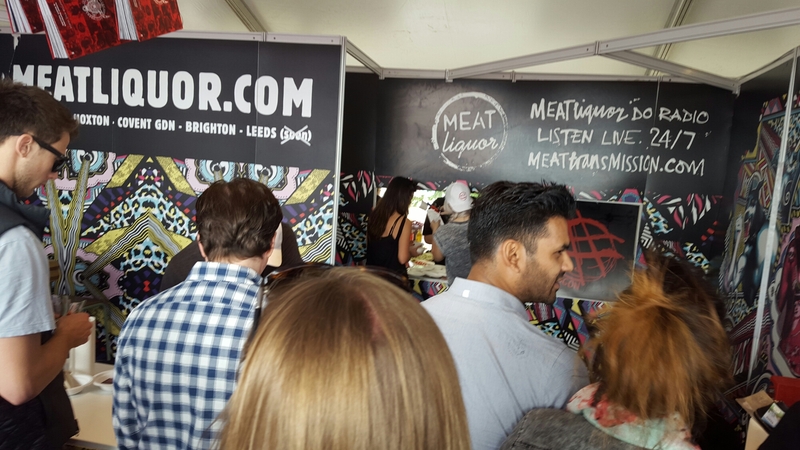 Overall, I still wouldn’t mind visiting MEATliquor to get a taste of their life-size vegetarian food as hopefully this should put my negatives at bay. 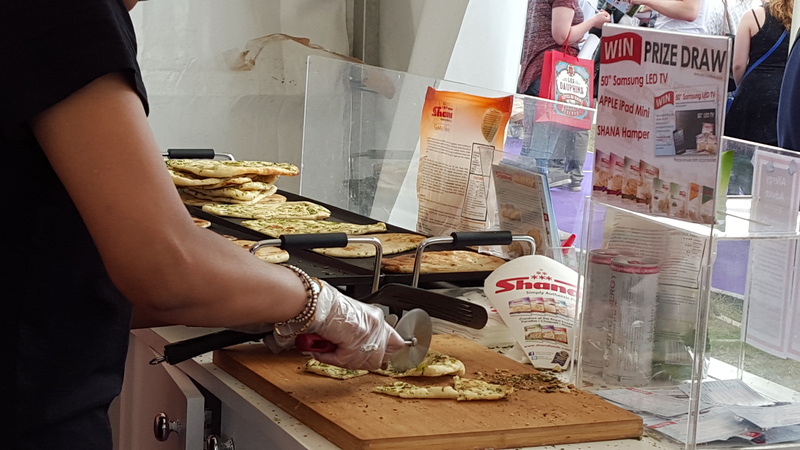 Shana has been around since 1996 and are famous for their frozen parathas (traditional South Asian flat bread). They were sampling pieces of their paratha covered in brown sugar and can we just say what a combination! One you have to appreciate about Shana is that their paratha and even naan bread is not too greasy and are soft. 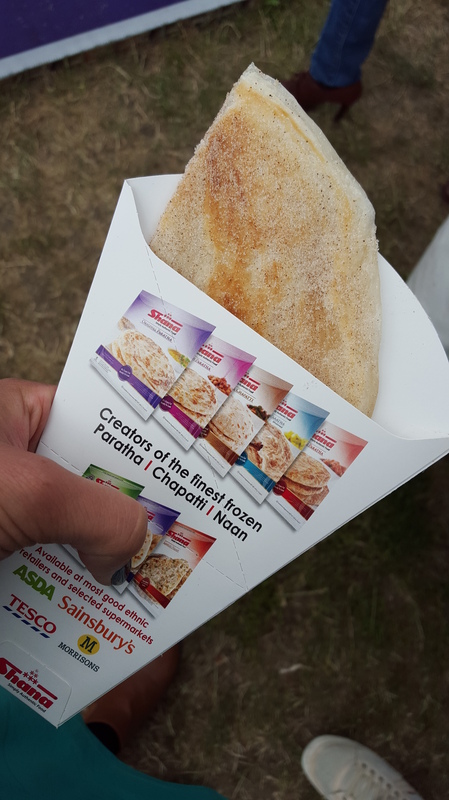 We tasted their chilli and coriander naan and they mean serious business when it comes to chilli. Luckily we could handle the spice (just about), but that was one scorcher! If you love the heat in food then this is one for you. I definitely enjoyed myself as there was so much to see, so much to taste, live cooking classes and live music. I loved the live cooking classes as they offered a unique opportunity to watch talented chefs prepare delightful dishes right before your very eyes. We got to see one chef prepare a mackerel dish and also pass around a whiskey-smoked butter which smelt amazing! The currency concept was pretty cool as everything was priced in crowns (1 crown = 1 pound). I can see the logic behind this as with such a large festival with so many stalls; coins and notes would simply cause a headache. 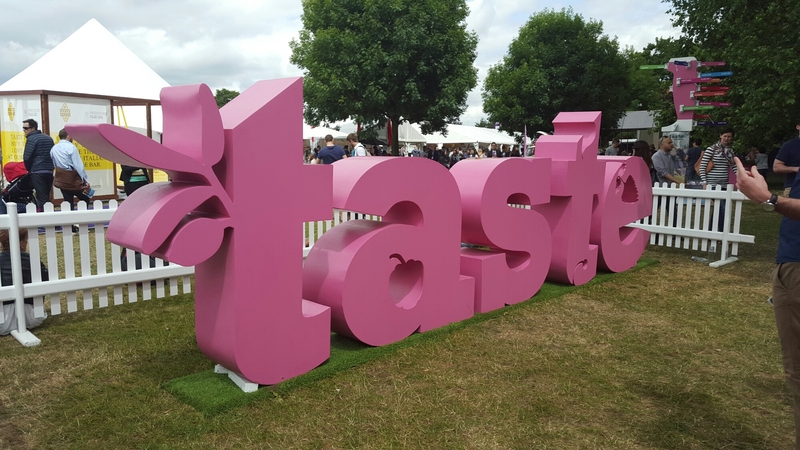 I mention Adventurous as I feel this festival definitely prompts you to try out different dishes from various regions across the globe; really testing your taste buds! What I loved most was the wide variety of flavours offered and the presence of big named brands also provided familiarity. Additionally, there were so many free samples on offer; ranging from cider to chia seeds! If you’re a coffee lover like my foodie buddy, than you would have loved the complimentary Nescafé beverages prepared in a sophisticated machine that looked like something out of a Sci-Fi movie. Unfortunately I did feel that the event does have a hefty price tag attached to it not only in its ticket prices but also for the food. You could easily spend £20 at this event on 3-4 dishes which aren’t particularly large themselves. So if you’re the adventurous type then be prepared to dig deep! 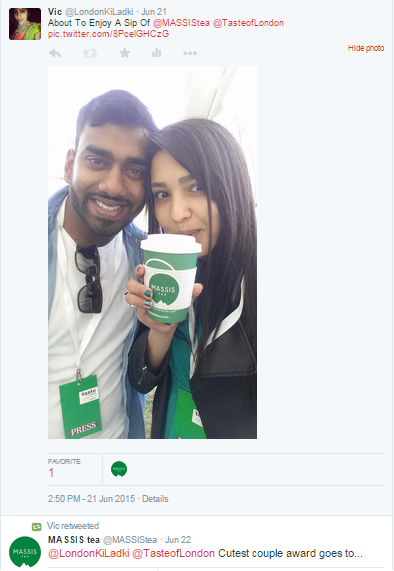 However as mentioned previously, the presence of a vast array of freebies did nullify this to a certain extent. 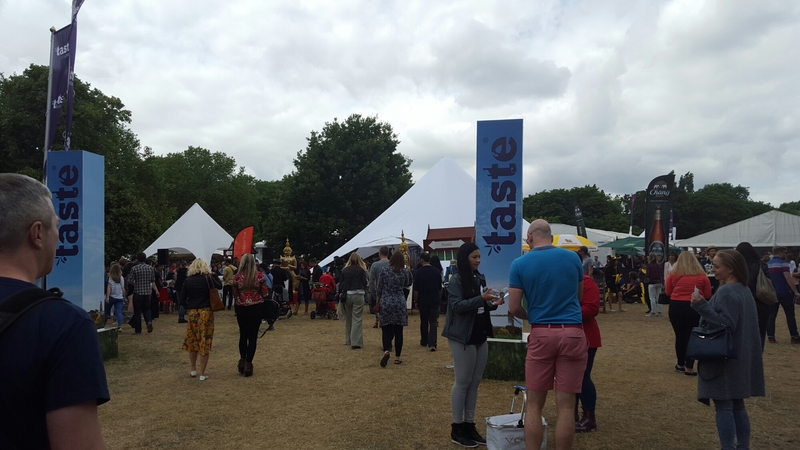 Tweet us @Ben10Soman and @LondonKiLadki and let us know what you thoughts are on Taste of London or if you feel food festivals are worth it.